BugattiThe new Bugatti Chiron Sport. Bugatti unveiled the new Chiron Sport at the 2018 Geneva Motor Show. The Chiron Sport is designed to be lighter and offer better handling than the standard Chiron. The Bugatti Chiron Sport starts at $US3.26 million in the US. If you’re one of those people who looked at the Bugatti Chiron and wished it was a bit sportier, your prayers have been answered. 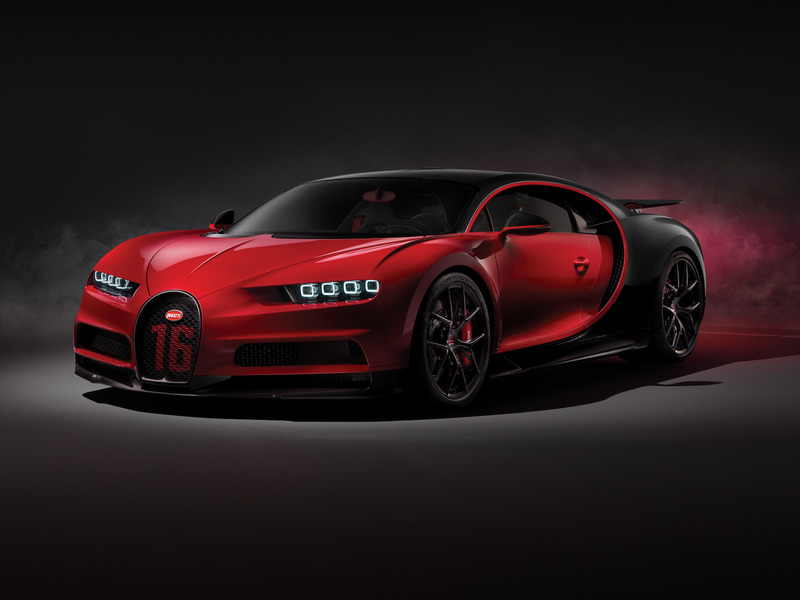 Bugatti introduced the new Chiron Sport on Tuesday at the 2018 Geneva Motor Show. The Sport has the same power and acceleration figures as the standard Chiron hyper-grand tourer, but with vastly improved handling and driving dynamics. Which makes it all the more impressive considering the Chiron that’s been on the market for the last two years is no slouch. According to Winkelmann, the Chiron Sport targeted at the buyers that want a more dynamic driving experience. To start, Bugatti put the Chiron on a weight loss regime. This includes lightweight wheel and the use of carbon fibre in areas such as the stabilizer, windshield wiper, and intercooler cover. In total, the Sport is roughly 40 pounds lighter than the Chiron. Bugatti also fitted the Chiron Sport with a new suspension that’s on average 10% stiffer than the system found on the existing. All of this coupled with retuned steering and the addition of true torque vectoring help make the new Chiron Sport much for adept at handling the twisting stuff. According to the VW Group-owned ultra-luxury brand, the Sport is a massive five second a lap faster around Italy’s highspeed Nardo test track the standard Chiron. Even though power and straight-line performance figures haven’t changed, they remain nonetheless mindblowing. The Bugatti can still hit 62 mph in less than 2.5 seconds and 186 mph in 13.6 seconds. The Chiron’s true top speed is yet unknown, but the current figure is still 261 mph. However, Bugatti expects the Chiron’s actually top speed to be much closer to 300 mph than to 250. Power still comes from a beast of an engine. An 8.0-litre, quad-turbo W16 to be exact. Here it produces 1,500 horsepower and, at top speed, it can drain the Chiron’s 26.4-gallon tank in less than 10 minutes. The standard Bugatti Chiron starts at around $US3 million. However, the Chiron Sport’s extra goodies push its starting price to $US3.26 million. 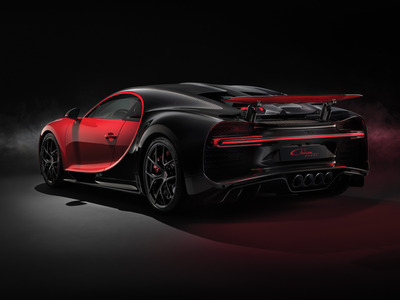 While the red and black Chiron Sport on show in Geneva cost a staggering $US3.672 million. 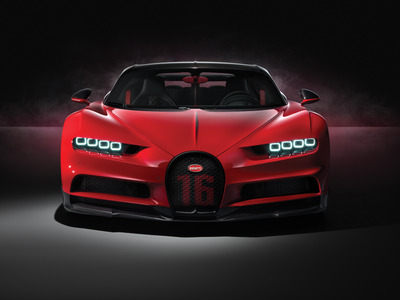 According to Bugatti, it’s probably the most expensive car on show in Geneva this year. 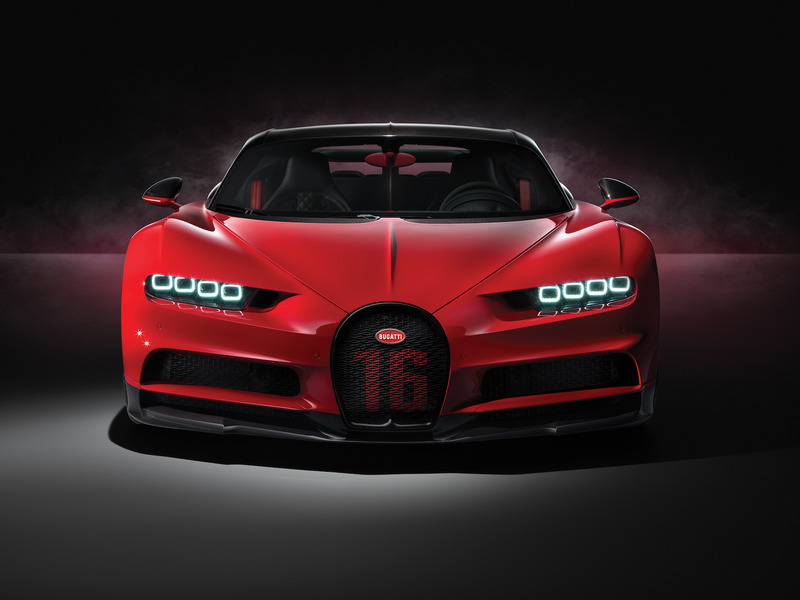 Bugatti plans to limit the total number of Chirons built, including the new Chiron Sport, to 500 cars. Thus far, 300 have already been sold.